Do you love summer? Are you someone that is all about product? Is getting a surprise package in the mail one of the bet things you can think of? If all of these things are true (and how can they not be), I think it’s time you subscribe to FabFitFun – the best subscription box around? This box is super fabulous for anyone that is fan of fashion, beauty and all things super chic!!! I am someone who loves to stay on top of today’s style trends and there’s something I do all year long that helps me do just that. I’ve been receiving the boxes for a bit now and I just continue to be impressed with them each and every time. If you’re into getting all the latest at a great value with amazing convenience — Subscribe to FabFitFun! 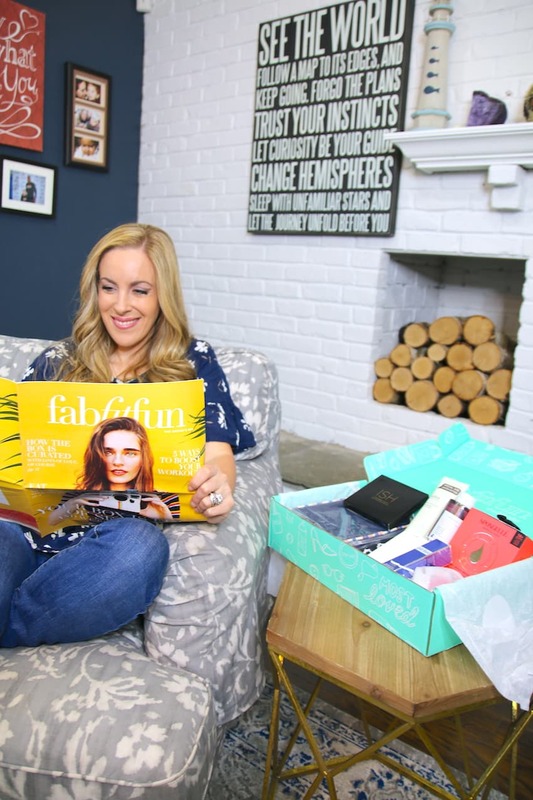 FabFitFun is a subscription box with beauty, fitness, home, tech, lifestyle and more!! Their boxes are seasonal and feature full-size (yes, not samples…I love that) products from brands including AHAVA, Trina Turk, Cottonelle, The Honest Company, Dermalogica, Mother Dirt, and more!!! Remember, the products from these awesome brands are all FULL SIZE and not teeny-tiny sample sizes. That’s a huge difference and a huge reason why I just love, love, love these boxes. It’s a better value and a better experience, with more of what you love. This is just one of the unique features of FabFitFun…and why I love them so. When you are looking for new product, the more you can use to try it, the better. Right?? Before I give you a peek at what I scored in my Summer Box, I wanted to post a coupon code that will entitle you to 10% OFF your first order. What’s better than good deal? I’d say 10% off that good deal, right? LOL! FabFitFun is a subscription box with full-size fashion, beauty, fitness and lifestyle products. The box comes out once each season and retails for $49.99 but always has a value over $200. That means that you are guaranteed to receive $200 worth of products for your $49.99 fee 4 lovely times each year. It’s like a massive 4th of July parade with the best fireworks ever created! In other words, it’s a pretty good thing. Let’s check out what you will be getting the current box!! So, FabFitFun is amazing. I love it so. There are just so many goodies and much more to enjoy. Do not delay – order your Summer 2018 Box today!!! Yes! This is the best box ever! It really does have everything. I need this in my life. I know you’ve wanted to try these for a while. I’m glad you finally got the chance. I have been wanting to try this box for awhile, and I LOVE how much stuff you get for the price! I think this might be my next purchase – thanks for the coupon code! This box is perfect! It looks like it has everything in it to be ready for summer. J loves her boxes she gets. It’s amazing some of the things you receive in these boxes. A definite win win! Mu best friend was just telling me about this box. I definitely need to sign up because she’s been getting some pretty amazing goodies in hers! I have a friend that’s really into subscription boxes, she loves the surprise aspect of them. This one sounds like it would be right up her alley. I have always been reading about positive reviews of this FabFitFun subscription box. I have never gotten to knowing more about it, but I guess I will now. Looks like you got a really good stash! i love fab fit fun! ive gotten a few boxes and loved everything in it. OMG, I need to get my hands on these FabFitFun boxes.. sounds like there’s a lot of good stuff in there! Thanks for sharing your review! I have been hearing about FabFitFun for years but never got one. I am glad this subscription box is still around I would love to get one for myself so many great items!